The distance from our house is about 200 m.
This beach is covered with rough gravel, with gradual entry. Beach ‘’Žaba’’ (''žaba'' means ‘’frog’’). The distance from our house is about 250 m.
It is a concrete beach, entry by ladders. The distance from our house is about 300 m.
It is a gravel-sand beach with gradual entry and entry by ladders. Beach ‘’Mala plaza’’ (‘’Litte beach’’). The distance from our house is about 350 m.
It is covered with fine small gravel, gradual entry. Beach ‘’Topla’’ and ‘’Hunguest Sun Resort’’. The distance from our house is about 550 m.
It is a sand-gravel beach with gradual entry. The distance from our house is about 600 m.
It is a gravel beach with gradual entry. 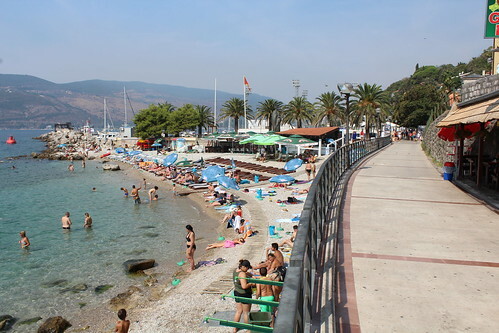 Beach ‘’Žalo’’ – ‘’Kod Topa’’. The distance from our house is about 650 m.